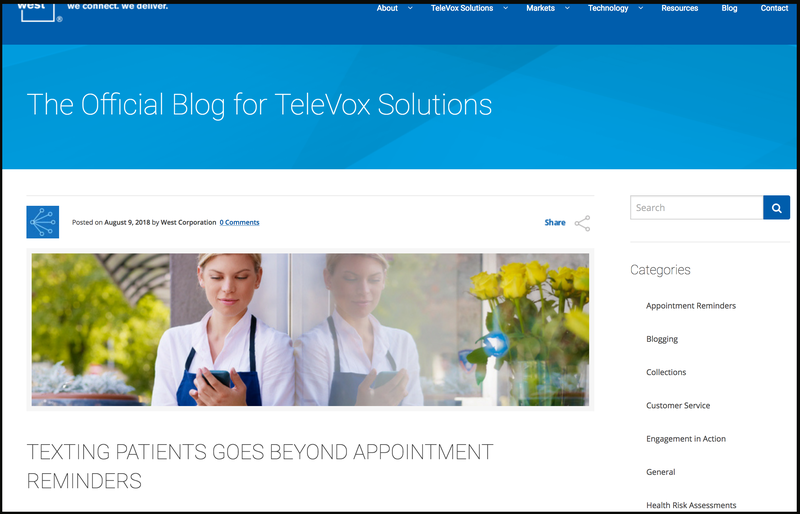 Here is a quick look at how we have helped West Corporation’s Healthcare Division (Televox Solutions) use the same survey data and content topic in five different formats to reach more prospects and customers. One of the best ways to develop compelling marketing content is through carefully crafted surveys that provide data to help your customers do their jobs better. 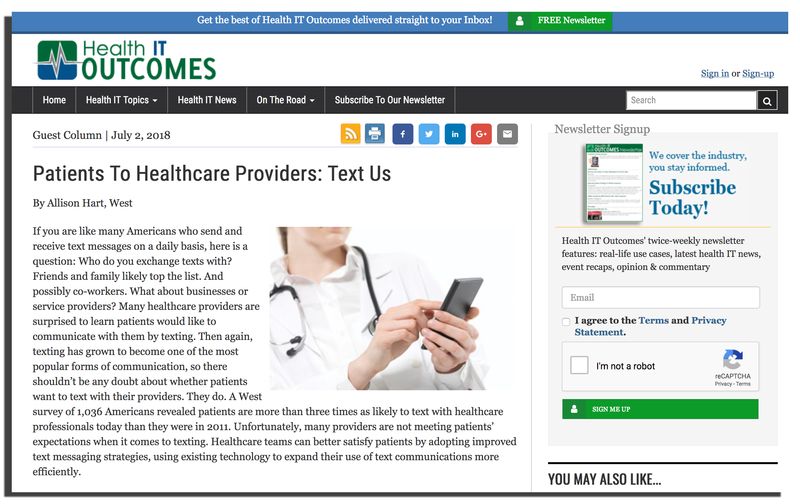 West’s latest campaigns are powered by a pair of surveys — a survey of consumers/patients and a survey of healthcare professionals — designed to gather the information needed for a package of more than a dozen complete content marketing campaigns. Often the first, and largest, content marketing piece developed from survey data is a whitepaper or report. 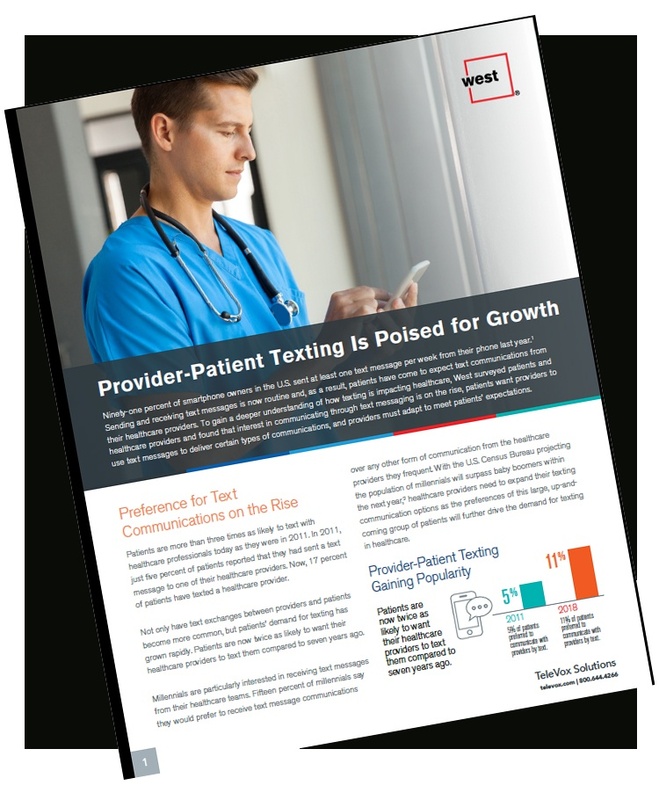 This could range from a report focused on just a few aspects of the overall survey, such as the four-page paper “Provider-Patient Texting Is Poised For Growth” used by West in their first campaign from the most recent surveys, to something much broader in scope and data like HubSpot’s annual State of Inbound Report (get the 2017 90-page report here). 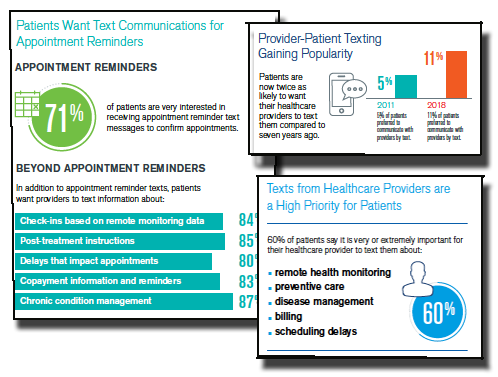 Other blog posts developed as part of the same campaign focus on how texting can improve patient-provider communication and four reasons providers should be texting their patients. Again, these take a slightly different approach than the report in bringing readers useable suggestions for taking action. Survey results and other information can also be presented in formats that rely less heavily on text and that may be more shareable by media and the public, alike. JONES and West understand the power of compelling infographics (like this one, which was picked up by USA Today). That is why one component of each campaign package developed from the original surveys is creation of infographics to provide a visual element. The infographics are used in the reports and blog posts, but can also be implemented in video development, social media, public relations and more. While publishing data on a company’s own website is a great way to build up content and boost search engine optimization, most business decision makers still give greater weight and authority to information and opinions published in industry and business media. This is why it is key for marketing and public relations teams to work together, maximizing how information is used and coordinating the messages being given through both departments. Once you have all of these other pieces of marketing content in place, don’t forget to promote them. Sharing blog posts, infographics, and successful placements in industry, business or national publications is a great way to gain even more traction for the data and messaging you worked hard to develop through surveys. I should also point out that this is just one campaign developed from the pair of surveys I mentioned in the beginning. The full survey data will be mined to develop a dozen more campaigns, each encompassing multiple channels just as this one did. That’s smart marketing. Need even more ideas for how you could use your own survey data? Check out Maximizing Market Surveys, our guide to turning a single survey into more than a thousand individual components for inbound marketing content.